"I know enough about biology, to know that love is not some mystery…" Shout! 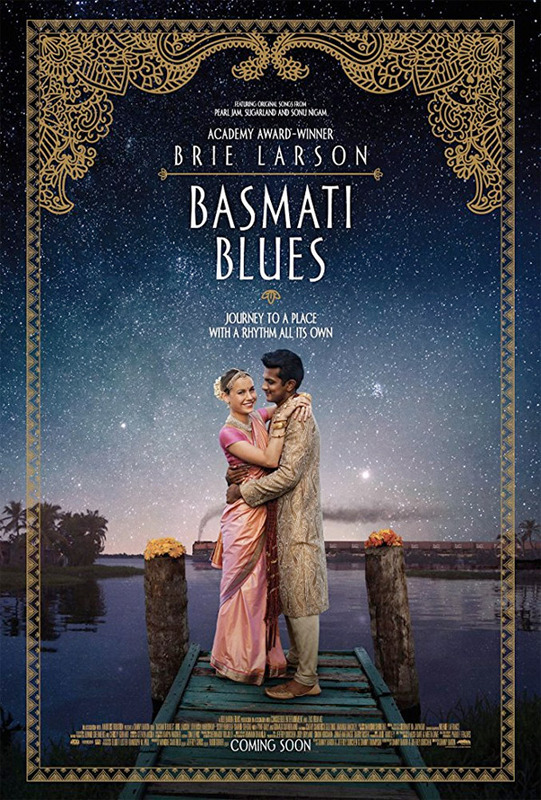 has released the US trailer for Dan Baron's Basmati Blues, an indie drama starring Oscar winner Brie Larson as a brilliant young scientist who is sent on a work trip to India. There she falls for a young Indian man, and when discovers that her company's plans actually involve destroying local farms, she and her new love interest set out to make things right. For those who think this looks like another one of these white savior in a foreign land films, the producers previously addressed this by saying the film itself isn't actually that way, and you should see the full film before judging. Aside from Larson, the cast includes Utkarsh Ambudkar, Scott Bakula, Saahil Sehgal, Tyne Daly, and Donald Sutherland. This looks rather charming and like a good anti-corporate greed film, which I fully support, so I'm curious to check it out. Plus it's Brie Larson! She's always delightful. Oscar-winner Brie Larson leads a wonderful ensemble cast as Dr. Linda Watt (Brie Larson), a sheltered but brilliant young scientist who is sent on a work trip to India. She is welcomed by almost everyone, and embraces a world she is unfamiliar with. Linda is assigned a guide, an ambitious young bureaucrat (Saahil Sehgal) who immediately takes a liking to her. But when Linda meets Rajit (Utkarsh Ambudkar), a rebellious college student forced to drop out by lack of funds there's instant chemistry! And through their playful antagonism, Linda's eyes are ultimately opened to the fact she has unknowingly become part of a destructive plan against the farmers. When she and the villagers discover her company's greedy agenda, they work together to fight against the abusive agricultural giant. Basmati Blues is directed by newcomer Dan Baron, making his feature directorial debut with this film. The screenplay is written by Dan Baron & Jeff Dorchen, from a story written by Dan Baron, Jeff Dorchen and Danny Thompson. Shout! Studios will release Basmati Blues in select theaters starting February 9th, 2018 this winter. Who's interested in this?